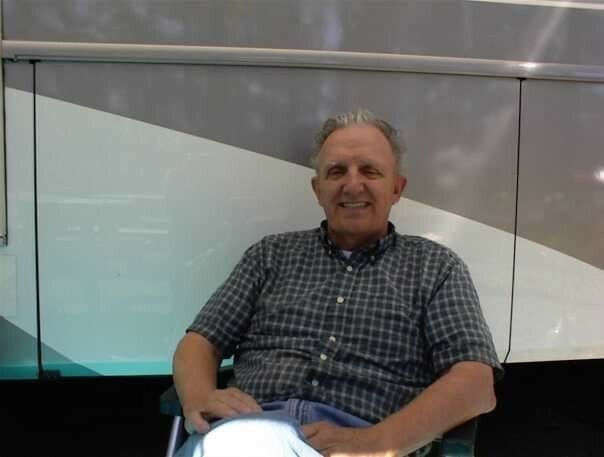 Provide comfort for the family of Lawrence Wedick with a meaningful gesture of sympathy. Lawrence John Wedick (Larry), age 80, died February 24, 2019 surrounded by family after a brief illness. Larry was born January 27, 1939 and son of the late John Lawrence Wedick & Florence Netty Wedick. He was also predeceased by his loving wife Donna Wedick who died February 25, 2006 and he was also predeceased by one brother, Richie. Larry was a former Marine, Nashua firefighter and a Nashua Police office. He was a loving, son, husband, brother, brother in-law, Uncle, grandfather, great grandfather and god father. Larry loved spending time in Georgia and being outdoors. Larry cared deeply for his family and extended family. Larry enjoyed collecting firefighter and police badges from each state and had a huge passion for sweepstakes. Larry will be missed by so many. Survivors include two brothers, Brother Charlie Wedick and his wife Nobiko from Oregon,Frank Wedick and his wife Debby of North Carolina; one sister Sandra Laforest and her husband Don of Amherst New Hampshire,; his loving children, Ricky Wedick and his wife Judy Wedick of New Ipswich NH, Victor Wedick of Nashua NH and Shawn Wedick of Nashua NH; Grandchildren: Crystal, Tiffany, Warren, Cassandra, Erick, Paul, Shawn Ryan, and Jacob: Great Grandchildren, Chris, Caleb, Chloe, Aaron and Rosalie and a Godson Messiah as well as several Nieces and Nephews. SERVICES: A Memorial Service will be held Saturday March 9, 2018 at 1:00 pm in the chapel of The Davis Funeral Home, 1 Lock St., Nashua, NH 03064. Relatives and friends are respectfully invited to attend and may gather at the funeral at 12:30 pm. (603) 883-3401. “ONE MEMORY LIGHTS ANOTHER”. To send flowers to the family of Lawrence Wedick, please visit our Heartfelt Sympathies Store. We encourage you to share any memorable photos or stories about Lawrence. All tributes placed on and purchased through this memorial website will remain on in perpetuity for generations. Don and Alison sent flowers to the family of Lawrence Wedick. Remembering Larry, his kindness and talks on Blossom St. He always gave the best hugs!! Will always be grateful to have known him. Peace and sympathy to his family. Don and Alison purchased flowers for the family of Lawrence Wedick.